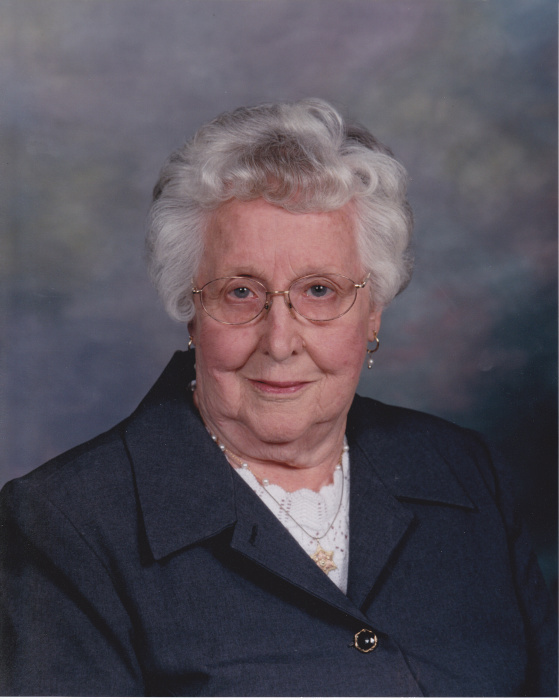 HENRIETTA GRACE (MULDER) DRENTH, age 97, of Ellsworth, died Sunday, March 25, 2019, at the Parkview Manor Nursing Home in Ellsworth. She was born April 4th, 1921, at her parents’ home near Midland Lyon Co. IA. She was the daughter of Henry and Clara (Bottenga) Mulder. Henrietta attended a rural school in Midland Township and graduated from Rock Rapids High School in 1938. She attended Iowa State Teacher's College and taught country school for seven years. Henrietta married Arthur Drenth on February 14th, 1946, at the Zion Presbyterian Church in Ellsworth. They lived on a farm near Midland. In 1956, they moved to the Mulder family farm near Ellsworth. In 1966, Art and Henrietta, along with their son, Gerald purchased the implement shop in Lismore and later built a new shop by Ellsworth. She was a member of the Zion Presbyterian Church where she taught Sunday school and sang in the choir. She enjoyed sewing and crafting. Her favorite was making bears. Grateful for having shared in her life is her son, Gerald (Ann) Drenth, Lismore; four grandchildren, Tricia (Willie) Ziebarth, Harrisburg, SD; James (Frances) Drenth, Sioux Falls, SD; Michael Drenth, Lismore; and Carolyn (Eric) Olson, St. Helens, OR ; five great-grandchildren, Madison and Brooklyn Ziebarth, Arthur and Ernest Drenth, and Cheyanne Olson; and many nieces and nephews. Visitation will be from 5-7 pm Thursday at the Zion Presbyterian Church in Ellsworth; and also one hour prior to the service at the church on Friday. Funeral will be 10:30 am Friday at the Zion Presbyterian Church, in Ellsworth, officiated by Pastor Paul Snyder. Burial will be in the Grand Prairie Cemetery in Ellsworth.